It is important to understand the basics of bail bonds should you ever need to enlist the services of a bail bond agent near Maryland . Bail refers to the fee that is paid to act as insurance to guarantee a person who has been arrested will show up to court on their court date without having to be held in custody between the arrest and the court date. This article will highlight some of the basics about bail bonds and how they work. Bail is money or property that is paid to release a defendant with the understanding that they will return to court on their court date. A bail bond is an assurance to a court that a defendant or surety (someone that fronts the money or property on behalf of the defendant) will forfeit the bond fee paid if the defendant does not return to court. If the judge allows for bond to be posted, the judge will determine the amount based on different guidelines. Bail amounts vary in different jurisdictions, so each state may have a set of regulations a judge adheres to when posting bail. 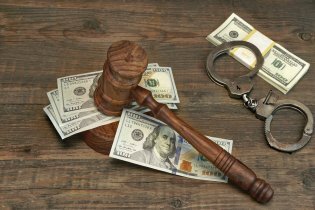 In most cases, the crime committed, or allegedly committed, is a factor in determining whether or not bail can be posted and also how much. For instance, if the crime in question was a violent crime, it would not be responsible to release the defendant before the trial. The severity of crime committed can increase the amount of bail. What are options for posting bail? Once the amount has been set, a defendant can use money or property to post bail. 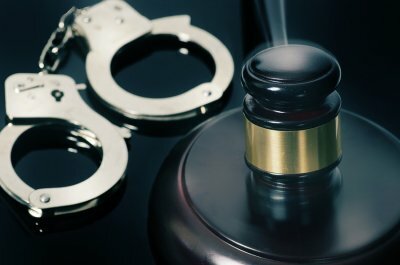 A defendant can also use a surety, who can be a family member, friend, or, in many cases, a professional bail bondsman. Bail bondsmen usually charge a fee that is a percentage of the total bail amount (usually around 10%). They will then post the actual amount of bail so the defendant can be released until their court date. Choosing a reputable bail bondsman is a very important decision for a defendant, or a family member who is securing a bail bond on behalf of a defendant. A bail bondsman, or bail bond agent, is the person who provides the court with surety that the bail bond will be paid if the defendant fails to appear in court. Here are some helpful tips for choosing a bail bondsman or bail bond agent near Maryland . Bail bondsmen and bail bond companies must hold active licenses from the state or states in which they operate. To determine if your bail bond agent and bail bond company have active licenses, visit the website for your state’s department of insurance or insurance administration. Bail bond agents and bail bond companies are considered insurance producers or insurance professionals by the state, and you should be able to verify their licenses via your state’s department of insurance. An experienced bail bond agent will be much more capable of helping a defendant and his family enter into a surety bond or obtain the court’s required bail bond. Your bail bond agent should have extensive experience posting surety bonds and bail bonds in your county’s jails and courthouses. He should be aware of the necessary processes, documentation, and techniques that will expedite a defendant’s release from jail on a bail bond. When comparing different bail bondsmen and bail bond companies in your area, try to find the one with the most experience in the bail bond business. A bail bondsman that provides surety bonds may require a defendant or his family to put up collateral or prove that they have enough money in assets to cover the amount of the bail bond. Some bail bondsman are more flexible than others, and do not require collateral bail bonds, and will work with you to set up a payment plan that works with your financial situation. Bail is the amount of money that a defendant must pay to be released from jail. A bail bond or surety bond assures the court that the defendant will appear at his next hearing. A judge sets the amount of a defendant’s bail at his arraignment hearing, which is typically the first hearing held after the defendant’s arrest. There are a few different factors that may affect the amount that a judge sets for a bail bond near Maryland . The judge will take into account how serious the defendant’s crime was. This may vary from state to state, but typically, felonies are considered to be the most serious crimes. If a defendant is charged with more than one felony, the amount of his bail will increase. A judge will also consider the defendant’s past criminal history. If a defendant has a lengthy criminal record, a judge may set a high bail. Factors that may mitigate, or decrease, the amount of bail required of a defendant include his ties to the community, proof that he has a steady job or attends school regularly, and whether community members are willing to vouch for the defendant’s character. Bail hearings are much less anxiety-provoking when you know in advance what to expect. If you may be responsible for putting up bail for someone who is accused of a crime, you may want to attend the person’s bail hearing, or arraignment. A bail bond company near Maryland can help you secure bail through a surety bond. Keep reading to know what to expect at a bail hearing. 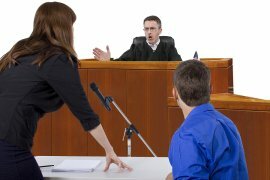 A bail hearing occurs during a defendant’s arraignment. An arraignment hearing provides the defense an opportunity to request that the defendant be released from jail on bail. The defense attorney should present an argument to the judge outlining why the defendant is not a flight risk and should be released from custody. 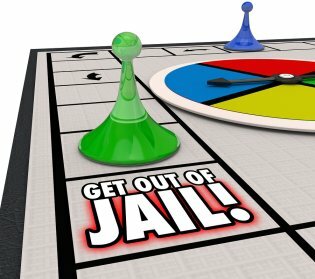 Bail is an amount of money that must be paid to the court as insurance that the defendant will show up at his next hearing. The judge presiding over the case determines the amount of bail that will be set. If a defendant cannot pay bail himself, family and friends can pay it for him. These family and friends can be present at the bail hearing, and can provide the court with documentation that proves the defendant has ties to the community, has support from the community, and that he is not a flight risk. This documentation can be in the form of letters, or character references, and proof of steady employment or school attendance. A bail bondsman or bail bond agent acts as surety to the court by posting a bail bond on behalf of the defendant. Surety requires the bail agent to guarantee payment of a forfeited bail bond if the defendant fails to appear at a future court appearance. A bail bondsman will enter into a contract, or surety bond, with the defendant and his family. Family and friends must prove to the bail bondsman that they have adequate assets to satisfy the bail bond.